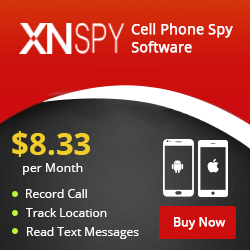 Looking for a great cell spy app that works on both iPhone and Android devices? With a great list of features? Introducing MobiPast, an effective monitoring application for Android and iPhone devices which allows you to monitor SMS, Calls, Social Media conversations, GPS locations, Browser history and more without breaking the bank! MobiPast is a safe and stealthy undetectable mobile spy / monitoring application that allows you to install it and start tracking in just minutes. Browser History: See the internet history of the websites visited from their mobile device. ​Call Tracking: See full list of outgoing and incoming calls revealing contacts, time & duration. GPS Location Tracking: See on the map where your target is going to. ​SMS Tracking: Read all SMS Messages sent and received. Notes: Get a full list of what they write down in notes. Calls Tracking: See Full history of sent and received phone calls. Remote Uninstall: When you are finished with the app you can uninstall the app from your Mobipast control panel. I liked Mobipast because it works on both the latest android and iPhone devices without the expensive price tag. The developers really had everyone's budget in mind when thinking about pricing this app. I love the fact that it has a free version, and the paid version is great value for money. You can get started started literally for free and have it installed on their target device within 5 minutes so you can start monitoring. I also love how it is untraceable, undetectable and how easy it is to remove when you are done with it.. It's like it was never there. I also like how the free version allows you to install Mobipast on their device and it will relay their pass code to you so you can have access to their phone to do the snooping yourself but I do prefer snooping remotely. The things I don't really like about Mobipast is that the application doesn't have some advanced features like call recording and call listening other cell monitoring softwares like FlexiSpy or mSpy. But you can't really complaing for a once off payment of $29.95. I really liked the MobiPast application, it is in my top 7 favourite cell spy apps and would recommend it to any one who is wanting to get started at an entry level. It works on iPhone or Android phones and there's a free version available with some great features. For those looking at getting a more advanced cell phone spy apps this would not be for you. I would look more into the top 5. Thanks for checking out my Mobipast review if you would like to leave any comments below if you liked this post! Next articleFlexispy Review – My FULL Flexispy App INVESTIGATION! I know that my phone, desktop and notebook have been compromised but I don’t know what app is being used. How can I block it?